In about a month or so I'll (or I should say The Paisley Tab) will be approaching my one year with Etsy - and I still feel like a small fish in a big pond. Etsy is a crowded marketplace - jam packed with lots of talented crafters, artisans, collectors, etc. and it's competitive with a lot of people selling the same stuff. This year my goal is to hit up some local fairs to sell my treasures. I'm also reaching out to other avenues online to sell my goods. "Building my online presence". I'm taking baby steps to test the waters. We'll see how it goes. Click on the photo below. 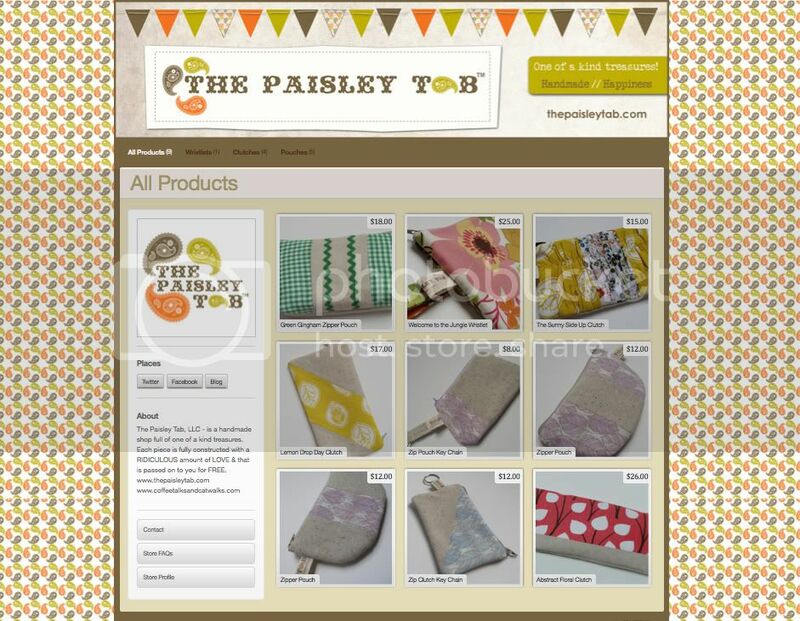 This is another place you can find The Paisley Tab. I'm stocking it slowly - like I said...Baby steps-just doing a little test driving. H A P P Y S H O P P I N G ! ! !